(05-18-2018 08:30 AM)TexanMark Wrote: UNC....the chair back replacement. Is there going to be enough leg room? UNC-CHeat is creatively dealing with a decline in attendance by installing individual seats. Will result in a loss of 12,000 seats. 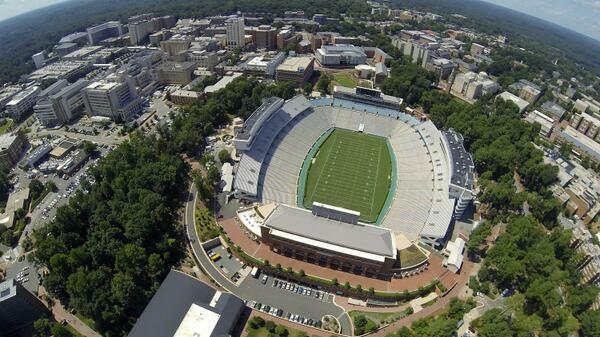 UNC’s current capacity is about the same size as Oregon’s. 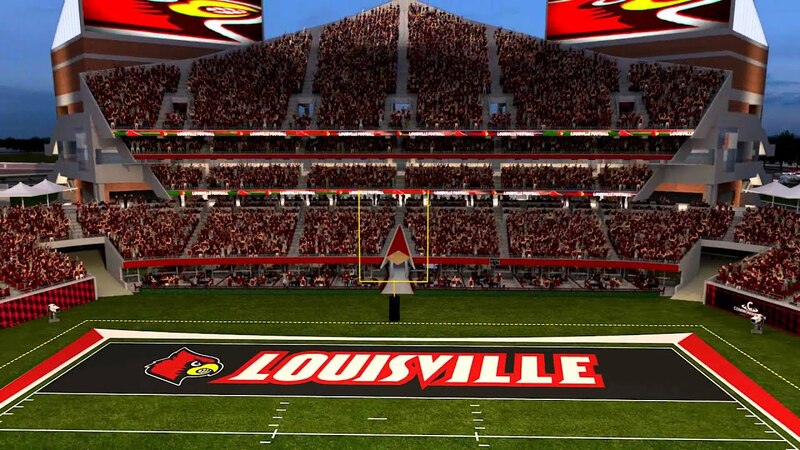 In fact, U of O’s stadium might be slightly bigger. ECU will have bragging rights...and they also will have a half full stadium as long as they continue to win 3-6 games a season. Huge risk by ECU. UNC is actually being smart. (05-23-2018 05:25 PM)TexanMark Wrote: ECU will have bragging rights...and they also will half a half full stadium as long as they continue to win 3-6 games a season. Huge risk by ECU. UNC is actually being smart. The difference is when’s ECU wins they fill up their stadium. When UNC wins they still have empty seats. I’ll take the huge risk as a lot of the new seats are already sold. Hahahaha have you been to a UNC game no atmosphere. Any way college football atmosphere is 10x better then NFL games. Your ignorance is stromg when it comes to ECU football. The only difference that matters is UNC will still produce more revenue even with less seating. We have gotten by this long with out the same amount of revenue and will continue to do so in the future. With the new American TV Networks contract coming up we should be around $55 million a year in revenue. Which would be double where we were ten years ago. I was referring to football related revenue only. A quick glance of online sites like stubhub show your average ticket asking price of 20 dollars or less while ours is 75 & up with several lower level sections in 250 plus range. Not to mention the athletic dept cut of tailgate guys revenue. Less caffeine? Just an idea. I said nothing about ECU. 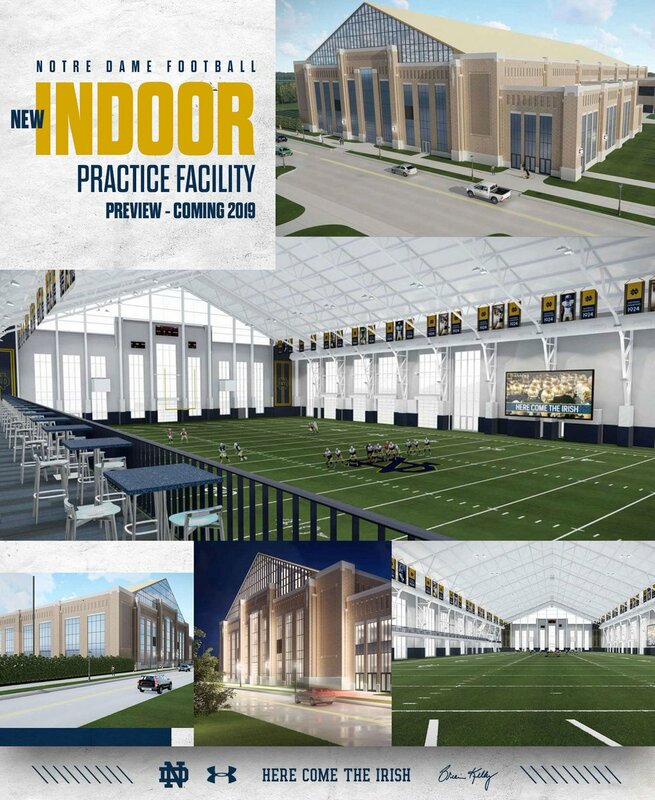 Notre Dame is building a new indoor football practice facility. And as sports being part of a general programming bundle fades, the price to watch a game in your den is going to move closer to the cost of buying a ticket. 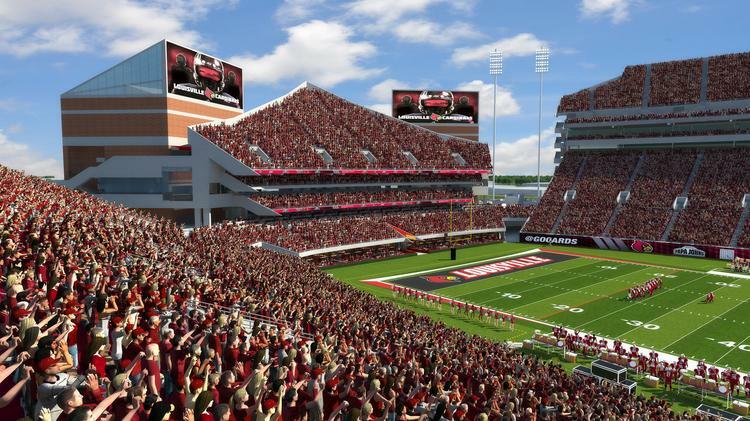 Look at what we have here.....Delaware has a $60 million stadium renovation planned. We've seen a lot of drawings on here so far for the most part but I have one from the MAC which is actually under construction at the moment. Academic performance center at Ohio. It includes new bathrooms on the concourse level to support greater standing room only capacity and will be setup for donors on game day. It should be near completion for the first game this season. Last season a new scoreboard and sound system were put into the stadium. I think our addition has some nice amenities to it. I don't know what enough is, but there will be more leg room. We are replacing bleachers with chair backs. This increases "fanny width" from approx 16.5" per seat to 22". This shows the new as the are being installed with the existing bleachers as a comparison. Carolina has sacrificed capacity for comfort, and helped eliminate a parking nightmare. 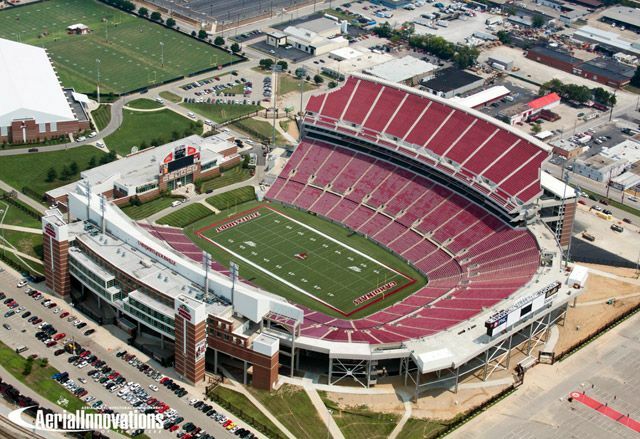 The stadium is in the middle of campus, and the campus has only 7,000 available parking places.